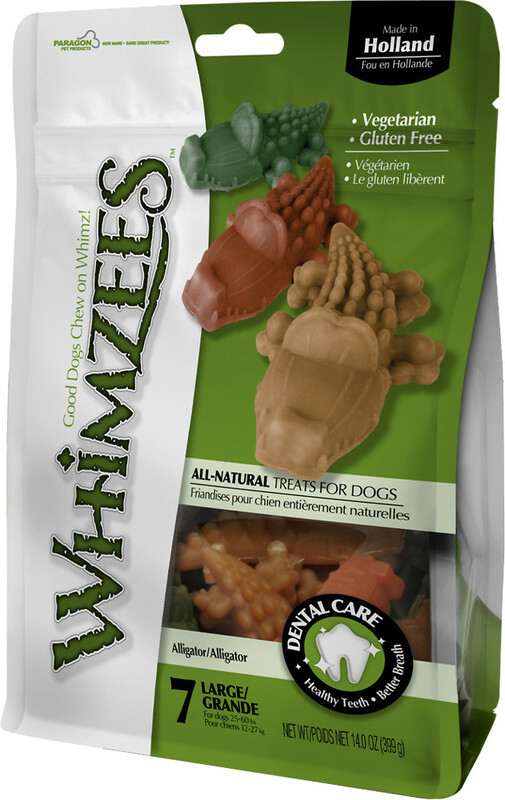 Whimzees All-Natural Treats for Dogs are a low fat, great tasting chew that dogs love! The special vegetable-based texture will help remove tartar and plaque as they chew. So put some fun in your dog's routine! 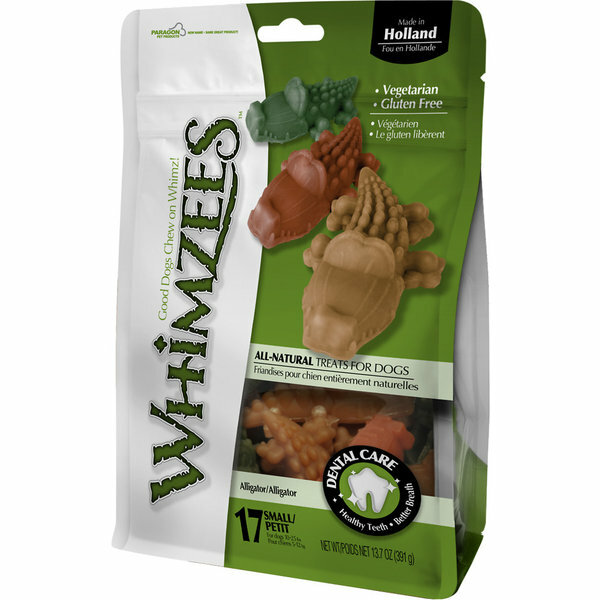 Recommended for dogs 9 months and older, and a minimum of 10 lbs. in weight. One chew per day is recommended. Be sure that your dog has access to fresh water. As with any edible chew, monitor your dog while chewing. Ensure that your dog adequately chews the product. Do not feed the chew if you question your dog's ability to adequately chew.